This recipe makes one 12-inch cake or about 8 large portions. Place bacon drippings in a 12-inch cast-iron skillet and put on medium low flame to heat. Combine dry ingredients in large bowl. Add egg and buttermilk to dry mixture and mix just enough to moisten. Remove skillet from heat, swirl melted bacon grease to ensure bottom is well coated, then pour remainder into cornbread batter and mix well. Sprinkle last cornmeal in skillet and when toasted golden brown, add batter. Place in preheated oven and bake until golden brown, about 25 minutes. 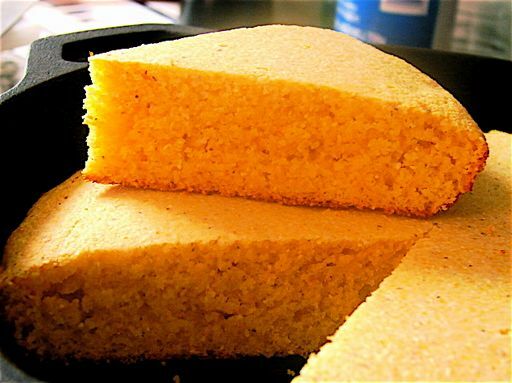 Remove cornbread from the oven, cut into wedges and serve hot with plenty of butter.